Financial advisors, insurance agents, estate planning attorneys and CPAs have a new tool to share with their clients. Today we announced the launch of Everplans Professional, which gives financial professionals the additional tools they need to help their clients organize, store and share all their legal, financial, healthcare, personal and digital information – all in one, convenient place. Advisors also have access to a personalized dashboard to track the progress and completion of their client's Everplan. Everplans just became even more secure. The security standard sweeping the Internet is now part of Everplans. It’s a two-step process to make sure your Everplan is always secure. Most people use the same password for multiple sites. Let’s say a hacker obtains your Amazon password. If you use that same password for other popular sites like Google, Facebook, or Dropbox, that hacker now has the proverbial keys to the kingdom. Once you enable two-step verification (a.k.a. two-factor authentication), when someone tries to access your account from an unfamiliar device (phone, tablet, computer), there’s a safety measure in place to thwart the attack. Everplans has gotten an overhaul! Our entire team has been holed up in an undisclosed location researching, refining, and building an entirely new Everplans experience for our users. We listened carefully to hundreds of customers who offered us brilliant feedback and incorporated many of those suggestions into the new Everplan. We think you’ll like what you see. But don't believe us. Just believe your own eyes. Bringing the topic of Advance Directives, Living Wills, and Health Care Proxies to a younger generation. The popular and stylish Refinery29 wrote an insightful and compelling article on why everyone needs a Living Will (a.k.a. Advance Directive), which was aptly titled "The Critical Decision You Haven't Made — But Should." And we're not just gushing over this because Everplans was mentioned in the article. Seriously! We're excited when anyone writes or speaks about the importance of this document. (You can download yours here: State-By-State Advance Directive Forms.) Refinery29 cites a number of statistics (example: "82% of people think it’s 'important' to record their [medical] wishes in writing, but only 23% have done so") and explains how an Advance Directive details the treatments you either want or don't want when you're unable to communicate your decisions due to a serious illness or injury. Read the rest of this compelling article on Refinery29. We were invited to attend but we like to dramatize our headlines. Everplans brought a spark to the NFP conference in Orlando this week, handing out phone chargers and chatting up some of the best advisors from across the country. Why do you think many of us avoid making these plans? People avoid planning because it's often perceived as either too complicated or depressing. We're here to debunk both of those myths. What's the fallout of not having plans in place? What many people don't realize is that if you don't plan or share any of your decisions, then there actually is a plan in place for you. But rather than it reflecting your personal wishes, all the decisions will be by default by strangers - namely, doctors, courts and the government. 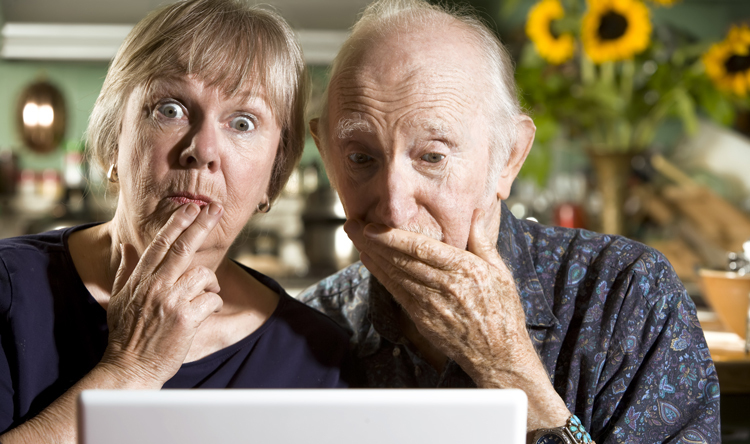 What do you think are the most common oversights we make in end-of-life planning? The most common oversight is believing you have everything completely under control because you completed a few planning components...What you don't realize is how much you may be forgetting. Mint also asked Abby about the minimum amount of planning everyone should do, when you should enlist the help of a professional, how often plans should be updated, and her favorite resources (apart from Everplans of course) for managing end-of-life-related decisions. Head over to Mint.com and read the full interview. While you're there you might also want to set up an account since it's an easy and effective way to manage all your finanical information in one place. And we're not just saying this because they ran this exceptionally informative interview about us. It's a really useful digital tool, and the app is cool too. The Wall Street Journal recently cited Everplans as the go-to resource for estate planning in an article titled The Best Online Tools For Navigating Retirement. Finally, an end-of-year list that has nothing to do with Ebola. It’s been an eventful year so take some time to reflect with some helpful, instructional, and just downright fun Everplans stories from 2014. Questionable browser history, racy photographs, and private health conditions are just a few posthumous scandals you might want to avoid. What secrets do you want to take to the grave? Perhaps you already saw our 2014 Completely Responsible (Yet Still Very Fun) Holiday Gift Guide, which offered a bunch of options for what you should buy for your family, friends, and other gift-worthy people in your life. But what did the Everplans staff give each other? 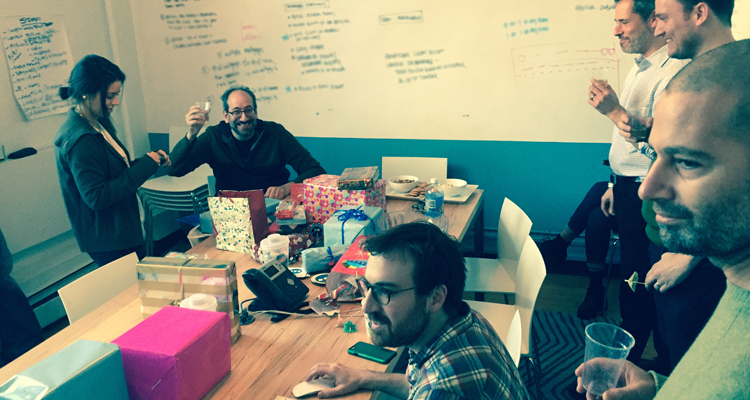 We recently held our second annual “yankee swap." We’re still not 100-percent solid on all the rules and regulations, but it’s like a Secret Santa -- except you can steal other people’s gifts. Or something. Rather than give you a play-by-play of who ended up with what, let’s just say it was a lot of fun. Here’s a rundown of all the awesome $25-and-under presents along with the person who bought it.